This department is home to the Yeti. We carry Tundras, Hoppers, Lowballs, Colsters, Ramblers, and more. This department is home to the Yeti. Featuring coolers from both the Tundra and Hopper series, there are options suitable for any lifestyle. 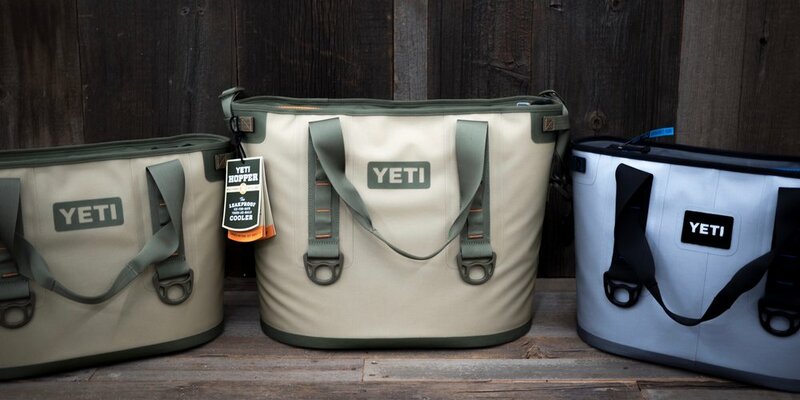 The Yeti Cooler Company was founded in 2006 by brothers Roy and Ryan Seiders. Tired of their coolers constantly breaking during their outdoor excursions, they sought to find a solution. The result was a series of coolers built to last decades, and capable of staying cool for days on end. With close to 5 star ratings across the board, quality is guaranteed with every product. The Tundra series is as durable as it gets. Stand on it, drive over it, shoot it with a cannon, these coolers are extremely durable. The Hopper series is the lighter alternative to the Tundra. Still, this cooler is built tougher than most. Made from white water raft material, and equipped with hazmat suite quality zippers to ensure that cold air stays in, they won't disappoint. Keeping your drink hot or chilled is now easier than ever. Constructed of 18/8 kitchen grade stainless steel the Rambler series tumblers and bottles are puncture, rust, and sweat proof. It may seem like just a cup, but it's so much more. These packs freeze faster, last longer, and avoid the mess of traditional ice. Bottle openers, handles, lids, straws, locks, and more.